32 Give ear, O ye heavens, and I will speak; and hear, O earth, the words of my mouth. It seems quite likely that Deuteronomy is the one book of the Hexateuch that existed in essentially its present fashion before the Exile. 2 Kings 22:8. And Hilkiah the high priest said unto Shaphan the scribe, I have found the book of the law in the house of the Lord . . . This came at a time when there had been periodic strife between the temporal and spiritual power in the kingdom and when there had been two recent reigns that were disastrous for the Yahvists. On the other hand, there was now an impressionable young king on the throne, Josiah. Perhaps it occurred to some among the priesthood to prepare an organized exposition of the laws which, in Yahvist eyes, ought to govern the king and the people, writing into it a clear spiritual supremacy. This writing, as "the book of the law", was then providentially "discovered" and brought to the king. The doctrine, placed in the mouth of Moses, treated as of great antiquity, and put forward most eloquently, was bound to impress the king. It did, and the priestly plan succeeded in full. Until then, Yahvism had been a minority sect, often persecuted and sometimes in danger of being wiped out altogether. Now, for the first time, it assumed an ascendancy, and, thanks to the enthusiastic co-operation of Josiah, it was made the official religion of the land. There was backsliding after Josiah's death, but Yahvism had been made powerful enough to meet the challenge of the Exile, which followed soon after. The Yahvist priests, during the Exile, as they edited the old traditions and codified the laws, incorporated Deuteronomy virtually intact into the Hexateuch. After the Exile, Yahvism, the minority sect, had become Judaism, the national religion of the people. Through its daughter religions, Christianity and Islam, Yahvism came to dominate the religious life of well over a billion people in the time that has passed since then. If Deuteronomy is dwelt with briefly in this book because it is not primarily concerned with history, that does not mean it may not be the most important part of the Bible in some ways, or even the most important piece of writing in the world. En el horror que está sucediendo en Gaza NO cabe la equidistancia ni la neutralidad. Es una guerra de ocupación y de exterminio contra un pueblo sin medios, confinado en un territorio mínimo, sin agua y donde hospitales, ambulancias y niños son blancos y presuntos terroristas. Difícil de entender e imposible de justificar. Y vergonzosa la postura de la comunidad internacional occidental de permitir tal genocidio. No entiendo esta barbarie que los horribles antecedentes del pueblo judío hacen aún más cruelmente incomprensibles. Solo las alianzas geopolíticas, esa máscara hipócrita de los negocios -- por ejemplo, la venta de armas -- explican la posición vergonzosa de EEUU, la UE y España. Sí, mi hijo nació en un hospital judío porque tengo gente muy querida y cercana que es judía y porque ser judío no es sinónimo de apoyar esta masacre, igual que ser hebreo no es lo mismo que ser sionista, y ser palestino no es ser un terrorista de Hamas. Eso es tan absurdo como decir que ser alemán te emparenta con el nazismo. Sí, trabajo también en USA donde tengo amigos y conocidos hebreos que rechazan tales intervenciones y políticas de agresión. "No se puede invocar la autodefensa mientras se asesina a niños", me decía uno de ellos por teléfono ayer mismo. Y también otros con los que discuto abiertamente sobre nuestras encontradas posturas. Sí, soy europeo y me avergüenza una comunidad que dice representarme con su silencio y su nula vergüenza. Sí, vivo en España pagando mis impuestos y no quiero que mi dinero financie políticas que apoyen esta barbarie y el negocio armamentístico con otros países que se enriquecen matando a niños inocentes. Sí, estoy indignado, avergonzado y dolido por tanta injusticia y asesinato de seres humanos. Esos niños son nuestros hijos. Es el horror. Ojalá que haya compasión en los corazones de los que matan y desaparezca este veneno asesino que solo crea más odio y violencia. Que aquellos israelíes y palestinos que solo sueñan con paz y convivencia puedan un día compartir su solución. 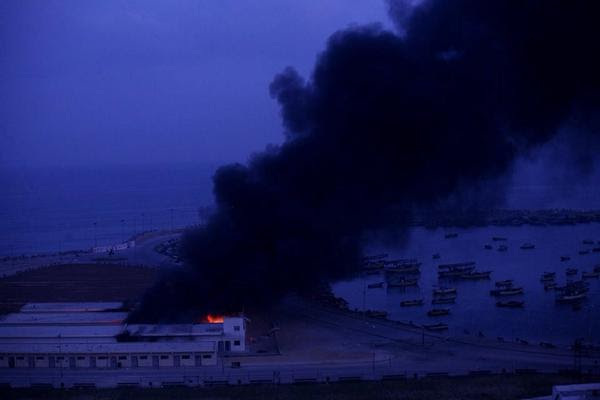 In the horror happening right now in Gaza there is NO place for distance or neutrality. It's a war of occupation and extermination waged against a people with no means, confined in a minimum territory, with no water, and where hospitals, ambulances, and children are targets and presumed to be terrorists. It's hard to understand and impossible to justify. And it's disgraceful that western countries are permitting such genocide. I can't understand this barbarism, even more cruel and incomprehensible considering all of the horrible things the Jewish people have gone through in the past. Only geopolitical alliances, that hypocritical mask of business -- for example, the sale of weapons -- the shameful position taken by the U.S., the E.U. and Spain. Yes, my son was born in a Jewish hospital because I have very dear close friends who are Jewish and because being Jewish does not automatically mean you support this massacre, just like being Hebrew does not mean you are a Zionist, just like being Palestinian does not automatically make you a Hamas terrorist. That's just as absurd as saying that being German makes you Nazi. Yes, I also work in the U.S. where I have a lot of Jewish friends and acquaintances who reject such interventions and the politics of aggression. "You can't call it self-defense while you're murdering children," one of them said on the phone to me yesterday. And others with whom I openly debate our conflicting positions. Yes, I'm European and I'm ashamed of the European Community that claims to represent me with its silence and its utter shamelessness. Yes, I live in Spain and I pay my taxes and I don't want my money to finance policies that support this barbarism and the arms industry along with other countries that get rich murdering innocent children. Yes, I'm outraged, ashamed and hurt by all of this injustice and human beings getting killed. Those children are our children. It's horrendous. I can only hope that those who kill will find it in their hearts to show compassion and be cured of this murderous poison which only breeds more hate and violence. That those Israelis and Palestinians who only dream of peace and coexistence can some day find a solution together. The Law of Deuteronomy is one of the oldest killer apps in the book. Meanwhile... real world, real time, real awful reality. Many thanks, Tom, for this composition of poetry, photojournalism, reporting and commentary. 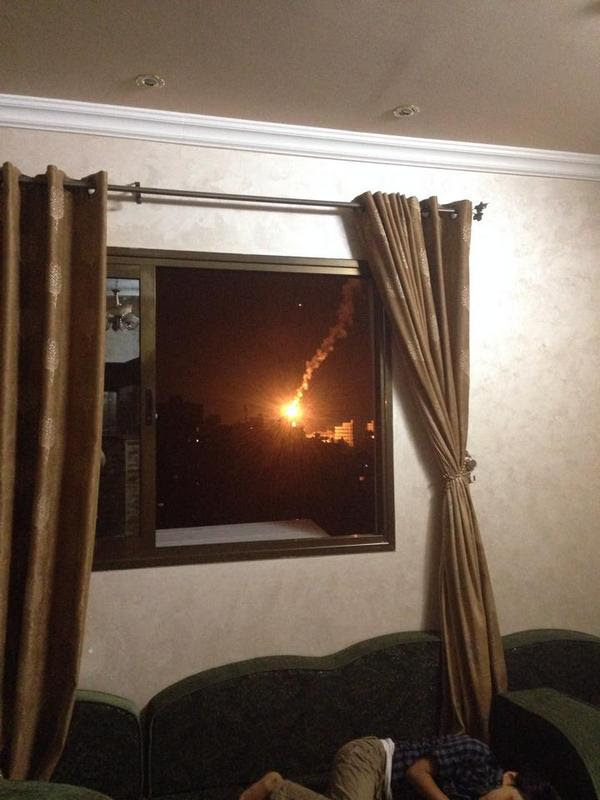 I look at Suha Najjar's photograph of the missile striking outside her window with a child on the couch beneath it and think of the words from Deuteronomy, "their spot is not the spot of his children." When this most recent massacre started, I was reading a book about T.E. Lawrence and the birth of the modern Middle East. I haven't been able to finish it. I mean, watching this, it's obvious it never ends. Many thanks, David and Nora. Wrenching night... one has to wonder whether that child in the photo got much sleep -- or, for that matter, survived the night. Nora, the story of Lawrence may offer parabolic understanding of the background of the present tragedy. The most noble of representatives of the western Imperial "policy" that would ultimately leave the "cradle of civilization" a ruin. 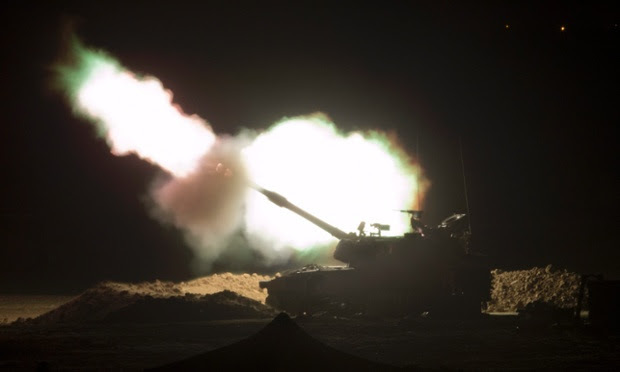 And meanwhile, as much as everyone would like the news to go away... the night's all out barrage on the already devastated and suffering Gaza resulted in at least 110 more deaths, mostly civilians as usual, and untold further casualties. 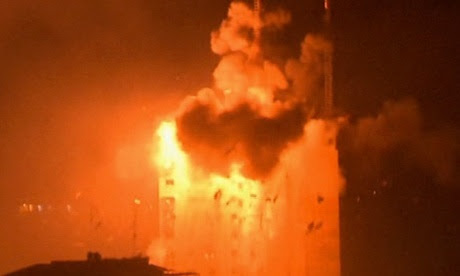 The shelling penetrated almost all the districts in the city... there is scarcely a spot left unturned in Shuja‘iya. In fact, the warplanes are hitting previous crushed areas. The Israeli army incursion on our district has blown up the majority of the houses and levelled them to the ground. A residential compound with nine or ten stories would be totally demolished, though it held many families. I know families who were put to death together, and some of them their bodies are still under the wreckage of their houses. All what we are dealing with now is bodies and blood, you do not know when is your turn. The power company stated that it might need a year to repair the damage and provide us with power gain. I rely on a small generator I keep at home but my storage of fuel is running out rapidly. I still have few bottles of drinking water and can’t think of going anywhere to get more. The water comes every few days and we use it extensively to wash dishes and clothes. We are living on some vegetables I grabbed during the ceasefire from the market which is entirely deserted now. 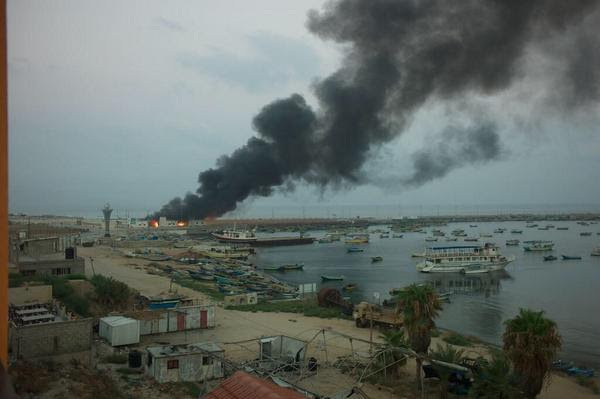 Gaza City officials said damage to the power station could paralyse pumps, and urged residents to ration water. The scale of Gaza’s humanitarian crisis has already alarmed human rights organisations. Last week, Israeli NGOs warned that more than half of Gaza’s 1.2 million people were now affected by a lack of adequate access to water and sanitation services, with raw sewage spilling on to the streets from damaged pipes. Hundreds of thousands of Palestinians are without power. Hundreds of thousands more face severe shortages. In the top comment I linked to the Palestinian tv live feed. It was down for a while. Now it's back up. 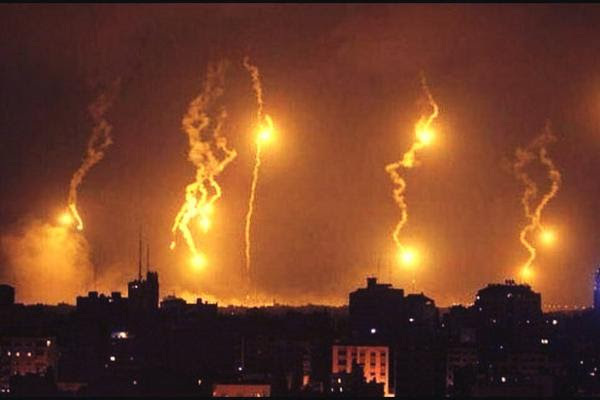 Night again in Gaza now, and those still alive are very busy dealing with the dead. 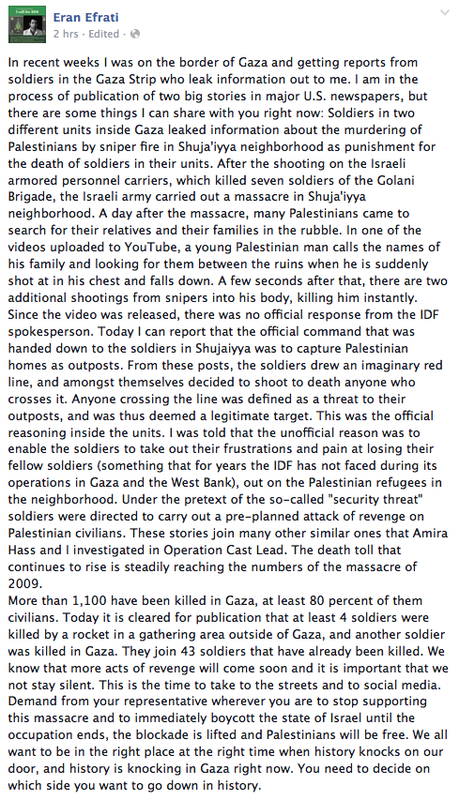 The scenes from al-Shifa are terrible beyond any words. To watch this and think that what you are seeing is something "political" would be to admit willing detachment from the human race. Who would want to admit that. The power company stated that it might need a year to repair the damage and provide us with power again. I rely on a small generator I keep at home but my storage of fuel is running out rapidly. I still have few bottles of drinking water and can’t think of going anywhere to get more. The water comes every few days and we use it extensively to wash dishes and clothes. We are living on some vegetables I grabbed during the ceasefire from the market which is entirely deserted now.